Those three scarves are finished, washed, dried, ironed and ready for their formal portraits. 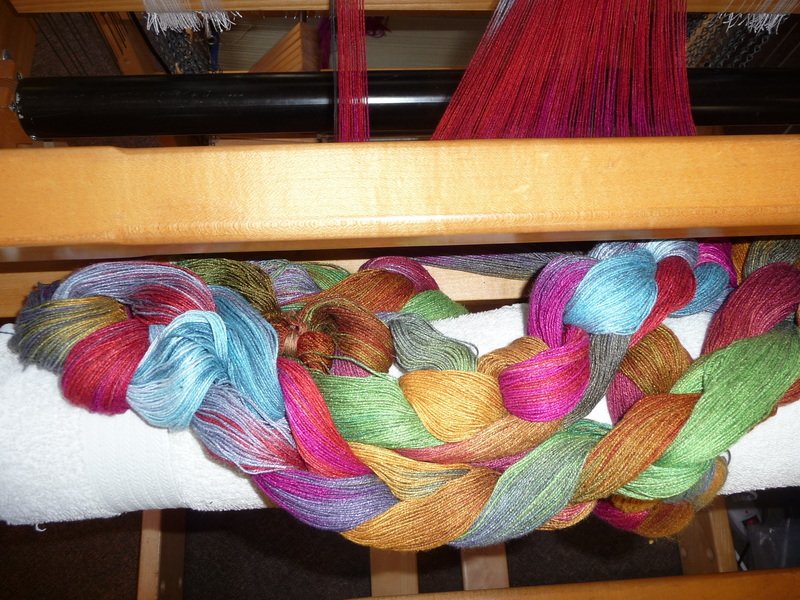 The next warp is on the loom, ready to begin weaving. 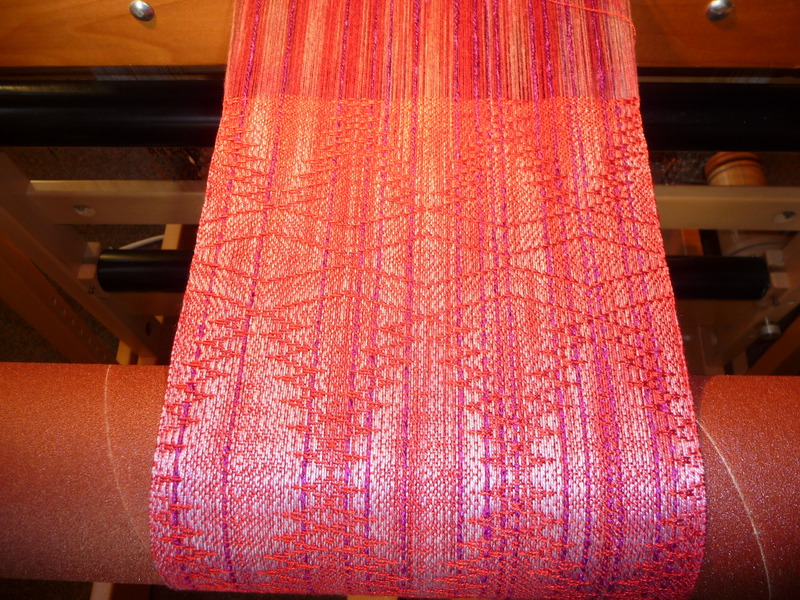 It’s another hand-painted warp, bamboo and considerably longer, which will produce four scarves. I’m calling the series Joseph’s Coat. 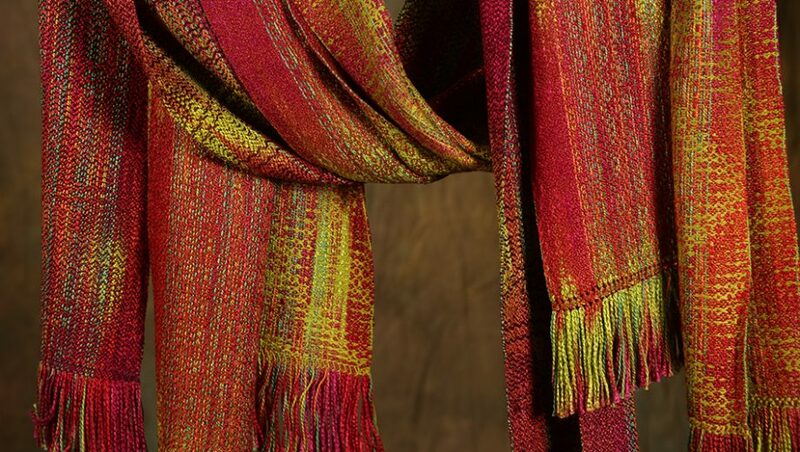 Lots of wonderful colors, shifting smoothly from one to the next, which will play out in the scarves in interesting somewhat unpredictable ways. 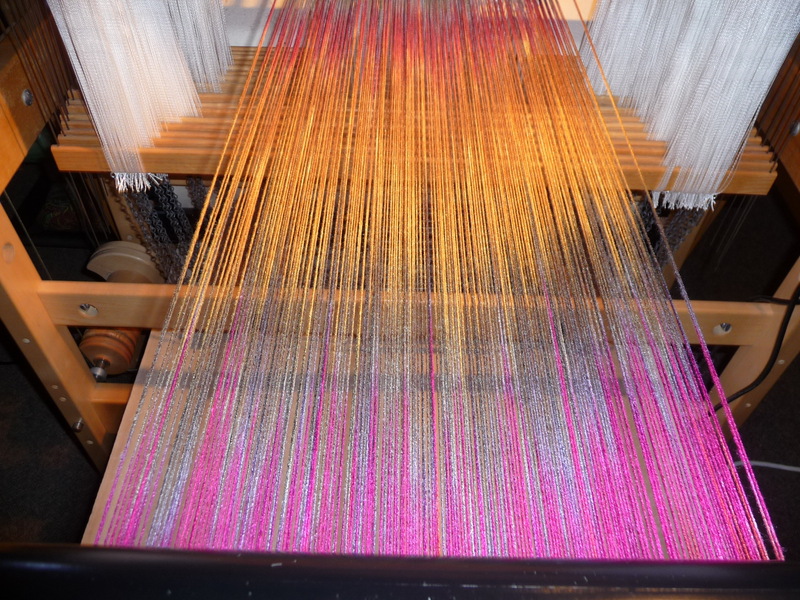 Here’s a shot from the back of the loom of a portion of the warp, where you can see how a couple of the colors transition. 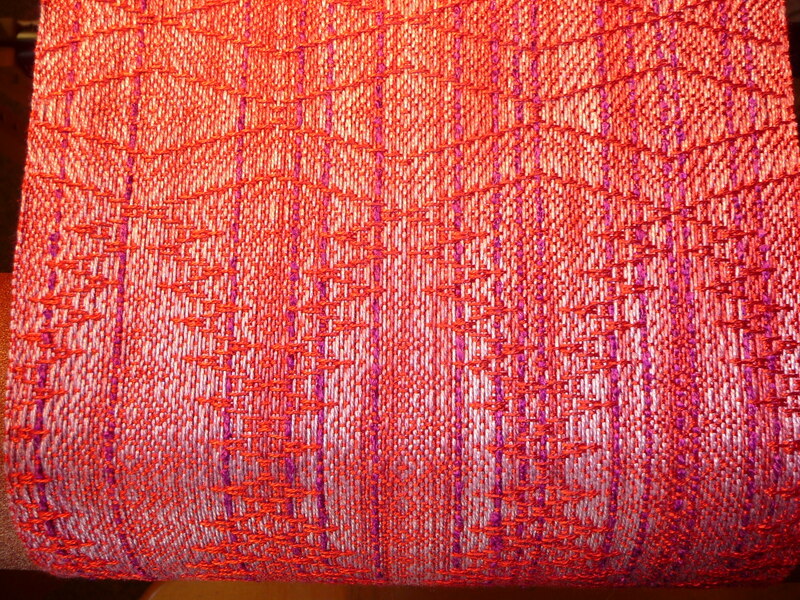 I’m excited to start the weaving tomorrow.